Vera Wang has created a unique and inspirational world that alludes to sensuality and youthful sophistication. Exquisite details, intricate draping, and a nonchalant sense of style characterize the Vera Wang aesthetic. 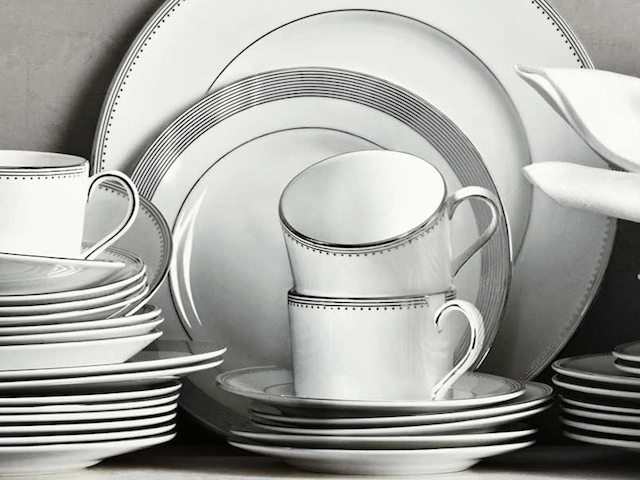 Her elegant collection for Wedgwood includes bone china dinnerware, crystal stemware and gift ware.